WASHINGTON – In 1986 Congress passed the National Childhood Vaccine Injury Act (NCVIA), creating a no-fault compensation program to stabilize a vaccine market adversely affected by an increase in vaccine-related lawsuits and to facilitate compensation to claimants who found pursuing legitimate vaccine-inflicted injuries too difficult and cost prohibitive. The NCVIA allowed for a party alleging a vaccine-related injury to file a petition for compensation in the Court of Federal Claims, naming the Health and Human Services (HHS) Secretary as the respondent. 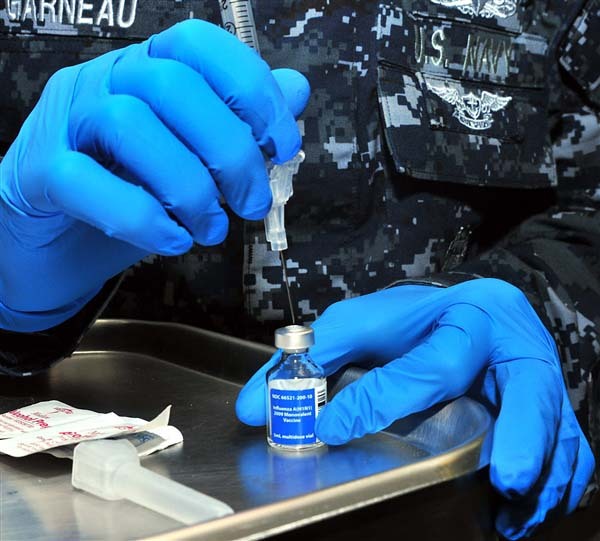 The court was required to resolve the case by a specified deadline and then the claimant could decide whether to accept the court’s judgment or reject it and seek tort relief from the vaccine manufacturer. Awards were paid out from a fund created by an excise tax on each vaccine dose. However, the NCVIA also provided vaccine manufacturers with significant tort-liability protections and eliminated manufacturer liability for a vaccine’s unavoidable adverse side effects. 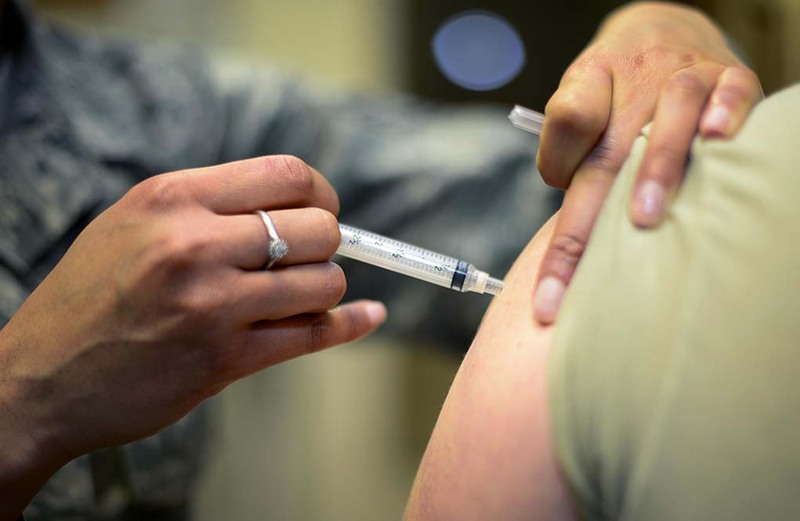 Under 42 U.S. Code § 300aa–22 – Standards of responsibility: Paragraph (b), which addresses “Unavoidable adverse side effects; warnings” states, “(1) No vaccine manufacturer shall be liable in a civil action for damages arising from a vaccine-related injury or death associated with the administration of a vaccine after October 1, 1988, if the injury or death resulted from side effects that were unavoidable even though the vaccine was properly prepared and was accompanied by proper directions and warnings. “(2) For purposes of paragraph (1), a vaccine shall be presumed to be accompanied by proper directions and warnings if the vaccine manufacturer shows that it complied in all material respects with all requirements under the Federal Food, Drug, and Cosmetic Act …” unless the plaintiff is able to show the manufacturer engaged in specific conduct or failed to exercise due care by clear and convincing evidence in its compliance with the Act. Section (e) prohibits states from establishing or enforcing a law that would bar an individual from bringing civil action against a vaccine manufacturer for damages for a vaccine-related injury or death if such civil action is not barred by the NCVIA. The U.S. Supreme Court granted review in the case of Bruesewitz et al v. Wyeth LLC with Justice Antonin Scalia delivering the opinion of the court on Feb. 22, 2011. He noted most of the concerns were centered on the DTP (diphtheria, tetanus and pertussis) vaccine, which was blamed for children’s disabilities and developmental delays and led to a massive increase in vaccine-related tort litigation. Between 1978 and 1981 only nine product liability suits were filed against DTP manufacturers but by the mid-1980s lawsuits rose to over 200 per year. The lawsuits destabilized the DTP vaccine market, causing two of the three manufacturers to withdraw, leaving only Lederle Laboratories, which estimated its tort liability exceeded its annual sales by a factor of 200. Despite the large number of lawsuits, many still complained that obtaining compensation for legitimate vaccine-inflicted injuries was too costly and difficult. A significant number of parents began declining vaccinations for their children while concerns about compensation further threatened to depress vaccination rates. Public health officials became concerned and claimed vaccines were only effective in preventing outbreaks of disease if a large percentage of the population was vaccinated. Congress enacted the NCVIA to stabilize the vaccine market and make it possible to provide fast, informal adjudication via the Act’s Vaccine Injury Table, which lists the vaccines covered under the Act; describes each vaccine’s compensable, adverse side effects; and indicates how soon after vaccination those side effects should first manifest themselves. Claimants showing a listed injury first manifested itself at the appropriate time were basically entitled to compensation. They also did not need to show causation, leaving the HHS Secretary with the burden of disproving causation. A claimant could also recover damages for unlisted side effects and listed side effects that occurred at times other than those specified, but for those claims, the claimant had the burden of proving causation. Attorney’s fees were not only provided for successful claims but also for unsuccessful claims deemed not frivolous. To supposedly stabilize the vaccine market, Congress built the quid pro quo into the Act, providing significant tort-liability protection for vaccine manufacturers. The DTP vaccine, manufactured by Lederle, which first received federal approval in 1948 with supplemental approvals in 1953 and 1970, was at issue in this case. Wyeth purchased Lederle in 1994 and stopped manufacturing the vaccine in 1998. Hannah Bruesewitz, born on Oct. 20, 1991, received a DTP vaccine from her pediatrician in April 1992 in accordance with the Center for Disease Control’s recommended childhood immunization schedule. Within 24 hours of receiving the vaccine, Hannah began experiencing seizures, suffering over 100 seizures during the next month. By the time the lawsuit was completed, Hannah was a teenager who was still diagnosed with both conditions. In 1995, Hannah’s parents filed a vaccine injury petition, alleging Hannah suffered from ailments listed on the ACT’s Table. A Special Master denied their claims but awarded them $126,800 in attorney’s fees and costs. The Bruesewitzes rejected the unfavorable judgment and filed a lawsuit in 2005 in Pennsylvania state court. They claimed the defective design of Lederle’s DTP vaccine caused their daughter’s disabilities and Lederle was subject to strict liability, and liability for negligent design under Pennsylvania common law. Wyeth removed the suit to U.S. District Court for the Eastern District of Pennsylvania, which granted Wyeth summary judgment on the strict-liability and negligence design-defect claims, holding Pennsylvania law was preempted by the NCVIA. The Third Circuit affirmed the opinion of the district court. A few years ago, Dr. Theresa Deisher, a PhD in Molecular and Cellular Physiology from Stanford University, the first person to discover adult cardiac derived stem cells, determined that residual human fetal DNA fragments in vaccines may be one of the causes of autism in children through vaccination. Since 2008, Sound Choice Pharmaceutical Institute (SCPI) has been doing research to determine what is causing so many DNA breaks and mutations in children. Because drugs and vaccines are too large to produce in a test tube, SCPI states they must therefore be manufactured using cell lines and the final products contain contaminants from the cell line used to manufacture the drug or vaccine. SCPI points out when animal cell lines are utilized, our immune systems recognize those contaminants as foreign and eliminate them from our bodies. However, when primitive human cell lines, such as aborted fetal cell lines, are used, such contaminants have the potential to trigger autoimmune diseases or genomic instability. Due to these and other findings, SCPI is hoping to put an end to human exploitation in product development. Despite this research and the dramatic rise in autism that seems to correspond with the methods used to manufacture vaccines, NCVIA, although passed over 30 years ago, protects vaccine manufacturers from liability.